During my time babysitting two sweet little girls who are half Guatemalan, and half Mexican I was inspired to learn more about their culture. 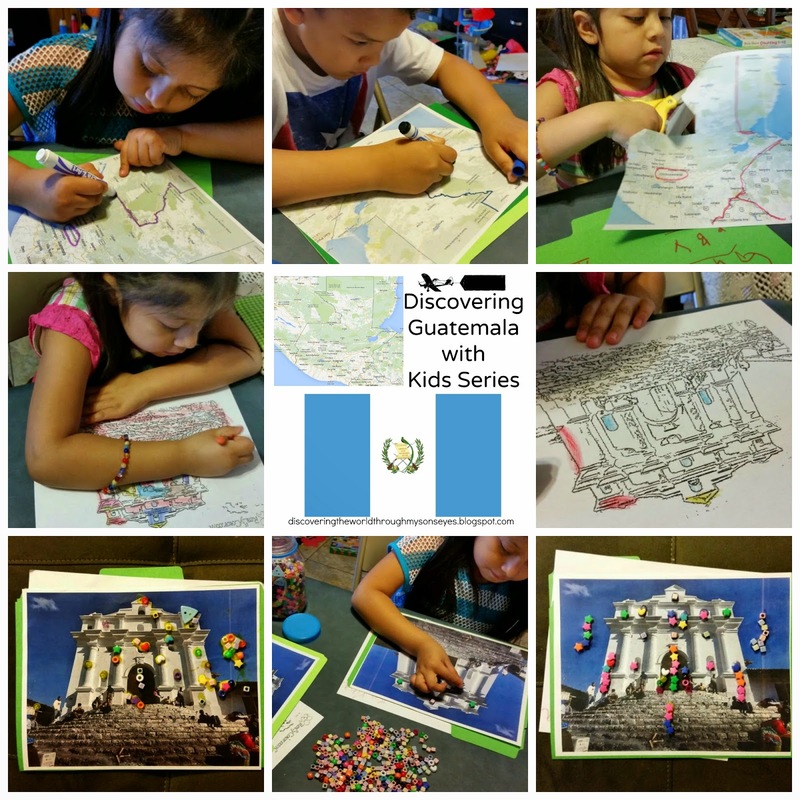 So much that I even turned all of our lessons, and activities into a series Discovering Guatemala with Kids! During this month I’ll be sharing various posts on children’s books, crafts, hands-on activities, and lots of other resources. Little one and I truly had loads of fun learning about the girl’s Guatemalan culture, especially the girls who were always more than happy to share all the fun stuff we’ve done with their parents. What better way to learn about Guatemala, then to learn about the town where the girl’s daddy comes from. 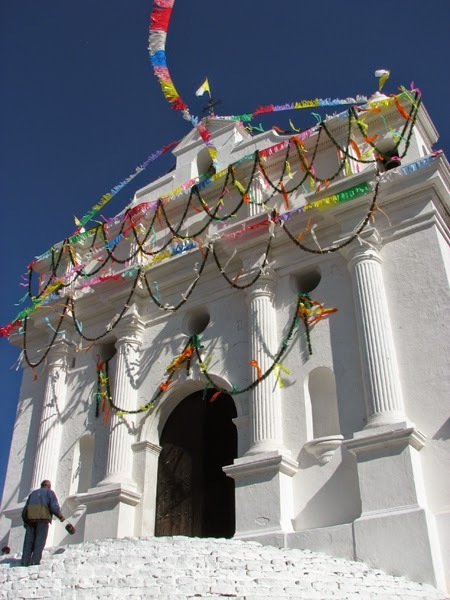 Today’s post is on Chichicastenango, Guatemala and the famous Iglesia de Santo Tomás (Church of Saint Thomas). This town located in the El Quiché department of Guatemala, known for its traditional K’iche’ Maya culture. 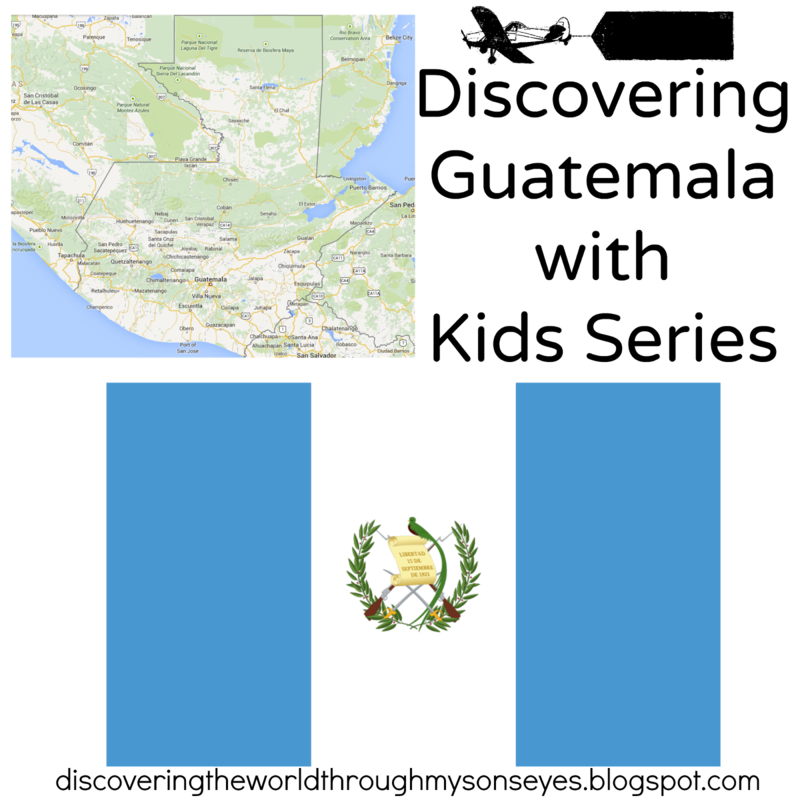 We started our lesson looking for Guatemala on the map, and learning about it’s flag. I made a screenshot of Guatemala map from Google. I printed in color, and had the kids trace, and cut out the map. We talked about where Guatemala was located on the globe, and named the bordering countries. Guatemala is a country located in Central America. The capital of Guatemala is Guatemala City. Guatemala means “land of many trees” in Spanish. Once the map was cut-out they glued it on to a folder. Exploring the father’s hometown Chichicastenango we discovered the beautiful and historic church Santo Tomás. The church of Santo Tomás is rich with history and it was built in 1545 atop a Pre-Columbian temple platform, and the steps originally leading to a temple of the pre-Hispanic Maya civilization remain venerated. It’s a Roman Catholic church located in the market place of Chichicastenango. K’iche’ Maya priests still use the church for their rituals, burning incense and candles. Each of the 18 stairs that lead up to the church stands for one month of the Maya calendar year. Chichicastenango (also known as Chichi) is a famous tourists area and it’s located 90 miles from Guatemala City, and lot’s of folks come to see the town’s annual Festival of Santo Tomás. I looked up this video so the kids can see the festival’s celebration. We watched this video of the Festival de Santo Tomás and talked about the church; and how important it was for the people of Chichi to decorate the outside of the church in preparation for the festival. I had the kids color a page of the church. (Did you know that you can turn pictures into coloring pages? Yes, that’s what I did! Click on this link for more information.) If you’d like to print the church’s coloring page click here. Now the fun part was actually having the kids decorate their very own Church of Santo Tomás! It’s simple! Gather some colorful beads, print a picture of the church, and have the kids glue it to the folder. Yes, the same folder they used to glue the map. Give them some glue, and they’re off to decorate the church to their own liking. The girls proudly showed their daddy their folder with their artwork, map, and coloring page. You can find some more useful information on Guatemala here. Stay tuned for our next post on three of our favorite Guatemalan & Mayan children’s book!